This dress consists of a silver corset top with diagonal quilting detail and a straight full length silver metallic skirt. 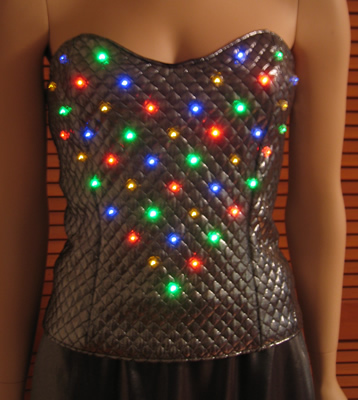 A grid of red, blue, green, and gold LEDs is embedded in the corset, and designed to fade and flash in a variety of patterns to suit your mood. 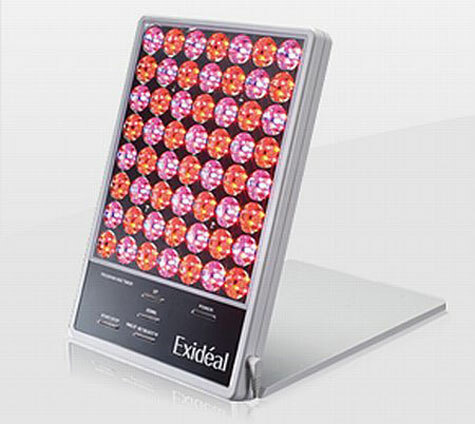 Exideal contains 280 LED lights that light up in ten modes of patterns and intensities to bathe your face in the glorious healing power of light and “permeate the vitamins and collagen in your skin and make you beautiful from the inside”. 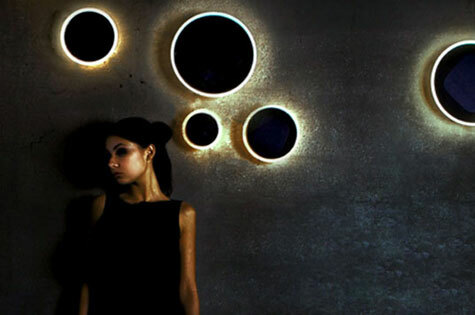 Create your own light show with a total of eight expressive light sequences that fade in and out to the intensity of the music. Introducing the new Moppel LED flexible light family. 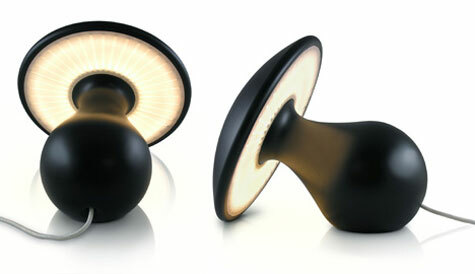 Thanks to their magnetic feet and suction pads, the lamps of the Moppel family adhere to almost any surface. 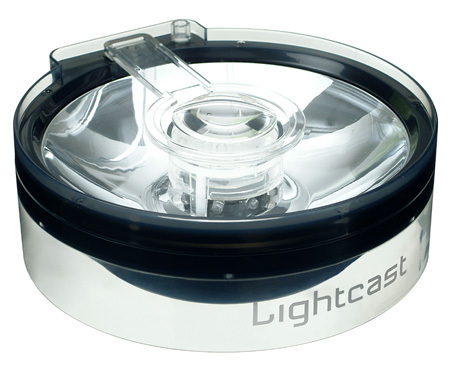 Precision engineered in Germany, each Moppel radiates eco-friendly and energy saving light. 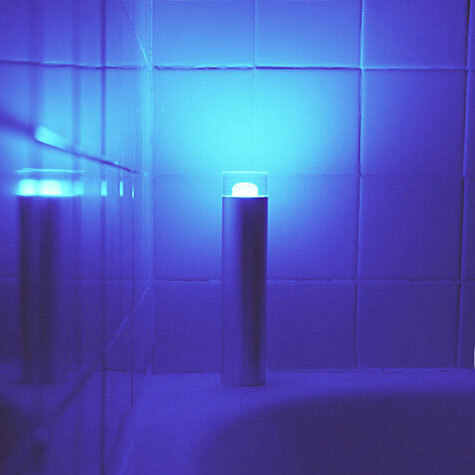 The LED has a service life of over 100,000 hours so there are no bulbs to replace. Each Moppel has it?s own unique personality and are sure to be a hit around the home, office or dorm room. 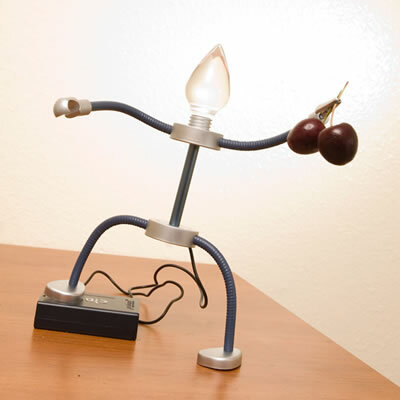 Just like the pole dancer, he’ll dance along to your favorite music while connected via USB to your computer. 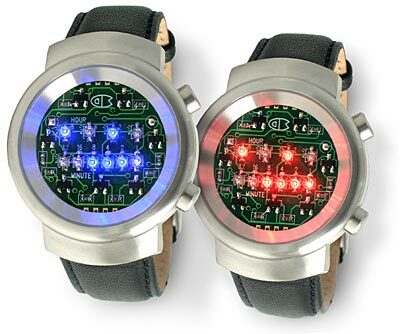 Plus, LEDs will flash to the music. Don’t forget to tip him, because this Full Monty works hard for your entertainment. Unfortunately, there’s no price info so I’ll do my best to find out how to take this hottie home!